The big five social networks present at IAB Canada’s advanced social media marketing training day in Montreal on October 23rd. Canada ranks 4th in penetration of Facebook users WorldWide according to a March 2012 eMarketer study. This places us behind Indonesia with 82,5%, India at 63,3% and Argentina at 62,1% but slightly ahead of the US where penetration is at 59,1%. According to recent comScore data on the reach of Facebook in Quebec (where I live) which I could compare with the total population from Statistics Canada, the penetration for this province would actually be 1 or 2 points higher than for the rest of the country (63%). How many social media accounts does your company manage? Local business is rapidly catching up with all manner of digital marketing & advertising opportunities presented to them. The difficulty often lies in that many local business owners do not generally deal with an advertising agency other than for creative purposes. Their marketing budgets encourage them to take their own media decisions. How do people decide to accept an invitation to connect on Social Media? The question was principally with regards to LinkedIn and how people chose to connect or not with other people. After having seen the answers already there, which surprised me a bit, I decided to answer as my answer was different from the lot. Most people responded they only connect to people they know in one way or another, or know the company the person works for – but they do not accept people unknown to them. 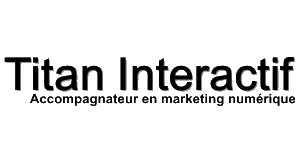 Our board is comprised of Canadian senior managers, vice-presidents and presidents or established advertising agencies, media operators (both traditional and web-only), advertisers and service providers to the Canadian interactive market place. We are all thought leaders, each with our own background and expertise. You’ve probably heard of the influence ranking tool called Klout. You might even have had a kick out of seeing how you ranked compared to your Twitter peers a while back when everyone was talking about Klout. It’s almost a ritual or maybe a tradition already. Every 6 months bloggers publish their 10 best posts of the previous period. I can see 2 good reasons for myself. #1 it allows me to promote my most appreciated work, which can in turn increase their readership, increasing traffic to my site (which is good for my ego), and #2 to help you discover content you may have missed that could be of interest to you.